There is no better time of year to get your next Toyota vehicle than Toyotathon. The best prices on the best models are sure to make this year another great success. So come into Mount Airy Toyota today and celebrate this national holiday by checking out the spectacular deals we have to offer. Before you can take full advantage of this end-of-year sale, you should probably know a little about it. When the Toyota company was first formed in the United States (in1957), they probably had no idea the level of success the company would have.Now, nearly sixty years later, it is easy to see how they have managed to maintain one of the highest, most respected levels of vehicle production our country has ever seen. What’s the secret to their success? Innovative thinking.Toyota is always looking towards the future, always testing new ideas. Toyotathon is a great example of this innovative way of thought. In 1977 the company wanted to come up with a new way of selling vehicles. Something unique from other car dealers. The idea was hatched that it might work to have one big flash sale at the end of the year, with smaller, longer lasting sales throughout the rest of the year. Most other dealers have limited sales throughout the year, usually leading up to an end-of-year sale. The difference in Toyotathon is that it is a more extreme version of this process. There were a lot of critics who believed a sale the size of Toyotathon could not wait until the end of year, and the Toyota sales team were making a mistake.However, in March of 1977, “a nation-wide 24-hour Toyotathon sales event set anew orders record,” according to www.toyota-global.com. And the company hasn’t turned their back on Toyotathon since. Yearly sale’s records,happy customers, and more accolades than can be counted have proven this unique method of selling cars to be true. And this year we are more excited than ever.Just wait until you see the specials we have running at Mount Airy Toyota! What kind of specials are running this year? Streaming through my news feed the other day I read this headline: “Half-Dressed Man Frantically Scrambles Out of Home After Hearing Toyotathon Deals Won’t Last Long.” My first thought was Wow, Toyota must be having some really great sales. I then realized this was the headline to an Onion article, notoriously satirical (and fake) news site. But after researching the Toyotathon deals for this year, such a headline is not so far-fetched. These specials are good enough to pull customers out of their homes (fully dressed,preferably), and it’s true, they won’t last long. SPECIFIC VEHICLES SHOWCASED FOR TOYOTATHON THIS YEAR. plus get $1,000 bonus cash back. Lease absolutely any Toyota vehicle with rates as low as $169 a month. And you can combine different incentives, such as a military or college graduate bonus on top of all other offers. And all these are just scratching the surface of what is fully being offered. 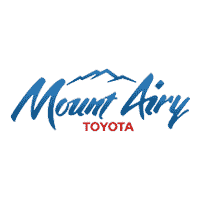 To get specified deals on particular makes and models it is best to make your way over to Mount Airy Toyota where our trained professionals can get you in the Toyota of your dreams quickly and with money left in your pocket. IN SHORT,YES. Contrary to popular belief, Toyota does still run a variety of sales throughout the year. And they are good ones too. You get cash back, a low APR, and tons of incentives. But, nothing matches the money that can be saved during Toyotathon. Ask diehard Toyota customers and they will tell you the same. If you can manage without buying a car until Toyotathon, it is worth the wait. This sleek sedan isFWD with a 3.5-liter, 6-cylinder engine. And, again, these are only a few of the many great deals you will find at Mount Airy Toyota. Some good news and some bad. LET’S START WITH THE GOOD NEWS. Unlike that first Toyotathon in 1977 that lasted for only 24 hours, THIS YEAR’S CELEBRATION LASTS AN ENTIRE MONTH! That’s because we want to make sure everyone gets the chance to come and take advantage of the best sale of the year. Plus, we have many more makes and models than we did back in the1970s, so the extra time allows you to peruse a variety of vehicle options. THE BAD NEWS? THE TOYOTATHON MONTH IS ALMOST OVER! Toyotathon’s annual sales event ends once December is over, SO YOU BETTER ACT FAST. Remember, customers wait all year for this time. Toyotathon is a must when it comes to getting a good deal on an excellent vehicle. visit our website at http://www.mountairytoyota.com/, or come speak with a trained professional who can answer any and all questions you might have about this year’s Toyotathon. We can’t wait to see you here!